Pipelines are the most common means of transporting oil or gas. A pipeline is like any other flowline. The main differences are that pipelines are long and continuously welded, they have a minimum number of curves, they have no sharp bends, and they are most often either buried or otherwise inaccessible due to their location over the majority of their length. These differences mean that small sections of pipeline are not easily removed for maintenance and consequently great care is taken to prevent problems arising in the first place. A pipeline is extremely expensive to lay, and in the case of offshore pipelines, costs in the order of several million pounds per subsea mile have been encountered. Maintenance on pipelines is also expensive but this expenditure is necessary since, regardless of the expense, pipelines frequently form the most efficient and cost-effective method of transporting the quantifies of oil or gas produced. Pipeline sharing agreements may result in the flow from a number of oil fields being transported through a single pipeline. A problem in a pipeline of this type can mean the shut-down of all of these fields with a resulting operating loss of several million pounds per day. This situation can be further aggravated for gas production to gas consumer companies where the producing company can not only lose operating revenue but can incur fines for failing to fulfill contractual obligations. • The maximum volume of fluid that will be pumped through the pipeline at any time during the life of current and future developments likely to be served by the pipeline. • The nature of the environment through which the pipeline is going to traverse. • The required delivery pressure. • Operating temperatures and ambient temperatures: (Temperature affects pipeline capacity both directly and indirectly. In natural gas pipelines, the lower the operating temperature, the greater the capacity, assuming all other variables are fixed. Operating temperature also can affect other terms in equations used to calculate the capacity of both liquids and natural gas pipelines. Viscosity, for example, varies with temperature. Designing a pipeline for heavy (viscous) crude is one case in which it is necessary to know operating temperatures accurately to calculate pipeline capacity. The possibility of water freezing and of hydrate formation in gas pipelines are other temperature considerations. • Viscosity: (The property of a fluid that resists flow or relative motion between adjacent parts of the fluid is viscosity. It is an important term in calculating line size and horsepower requirement when designing liquid pipelines). • Vapour Pressure. (The pressure that holds a volatile liquid in equilibrium with its vapour at a given temperature is its vapour pressure; when page 73 determined for petroleum products under specific test conditions and using specific procedures it is called the RVP (Reid Vapour Pressure). Vapour pressure is an especially important design criterion when handling volatile petroleum products such as propane or butane. The minimum pressure in the pipeline must be high enough to maintain these fluids in their liquid state. which is a dimensionless number, which is used to describe the type of flow exhibited by a flowing fluid. In streamlined (or laminar) flow, the molecules move parallel to the axis of flow. In turbulent flow, the molecules move back and forward across the flow axis. Other types of flow are also possible and the Reynolds number can be used to determine which types of flow are likely to occur under specified conditions. In turn, the type of flow exhibited by a fluid affects pressure drop in the pipeline. Strictly speaking. a Reynolds Number below 1000 describes streamlined flow. At Reynolds Numbers between 1000 and 2000 flow is unstable. At Reynolds Numbers greater than 2000 flow is turbulent These figures are not always used. In general usage, how is considered laminar for R<2000,>4000. This is not a complete list but represents the basic parameters used. Terms are interdependent; for example, operation pressure depends on pressure drop, which depends on flow rate, which in turn is dictated by allowable pressure drop. Several pressure terms are used in pipeline design and operation. Barometric pressure is the value of the atmospheric pressure above a perfect vacuum. A perfect vacuum cannot exist on the earth, but it makes a convenient reference point for pressure measurement. Absolute pressure is the pressure of a pipeline or vessel above a perfect vacuum and is abbreviated bara. Gauge pressure is the pressure measured in a pipeline or vessel above atmospheric pressure and is abbreviated barg. Standard atmospheric pressure is usualIy considered to be the head pressure of 760 mm of mercury, but atmospheric pressure varies with elevation above sea level. Many contracts for the purchase of natural gas, for instance, specify that the standard, or base, pressure will be other than 760mm/kg. Formulas describing the flow of fluids in a pipe are derived from Bernoulli’s theorem and are modified to account for losses due to friction. Bernoulli’s theorem expresses the application of the law of conservation of energy to the flow of fluids in a conduit To describe the actual flow of gases and liquids properly, howeyer, solutions based on Bernoulli’s theorem require the use of coefficients that must be determined experimentally. The theoretical equation for fluid flow neglects friction and assumes no energy is added to the systems by pumps or compressors. Of course, in the design and operation of a pipeline, friction losses are very important, and pumps and compressors are required to overcome those losses. So practical pipeline design equations depend on empirical coefficients that have been determined during years of research and testing. The basic theory of fluid flow does not change. But modifications continue to be made in coefficient as more information is available, and the application of various forms of basic formulas continues to be refined. The use of computers for solving pipeline design problems has also enhanced the accuracy and inflexibility possible in pipeline design. In the design of liquids and natural gas pipelines, pressure drop, flow capacity and pumping or compression horsepower required are key calculations. The design of a liquids pipeline is similar in concept to the design of a natural gas pipeline. In both cases, a delivery pressure and the volume the pipeline must handle are known. The allowable working pressure of the pipe can be determined using the pipe size and type and specified safety factors. In most pipeline calculations, assumptions must be made initially. 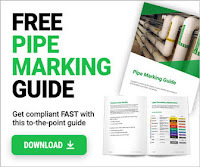 For instance, a line size may be assumed in order to determine maximum operating pressure and the pressure drop in a given length of pipe for a given flow volume. If the resulting pressure drop, when added to the known delivery pressure exceeds the allowable working pressure, a larger pipe size must usually be chosen. It may be possible to change the capacity and spacing of booster pumping stations to stay within operating pressure. But in the simplest case, if the calculation yields an operating pressure greater than allowed, a larger pipe size must be selected and the calculation repeated. It is apparent that many options are available in even a moderately complex pipeline system. But today’s computer programs for pipeline design can analyze many variables and many options in a short time, greatly easing the design process. An equation for the flow of liquids in a pipe was developed by Darcy in the early 18th Century and the equations, formulae and standards defined by Darçy are still valid today. The Darcy equation can be derived mathematically (except for a friction factor which must be determined by experiment) and can be used to calculate for laminar and turbulent flow of liquid in a pipe. In addition to the pressure loss due to fluid friction with the walls of the pipeline, valves and fittings also contribute to overall system pressure loss. The pressure loss due to a single valve in several thousand feet of straight piping will be insignificant but in a pumping station, for example, where many valves exist and many changes in flow direction occur, pressure loss in valves and fittings is important. Pressure loss in valves and fittings is made up of both the friction loss within the valve or fitting itself and the additional loss upstream and downstream of the fitting above that which would have occurred in the absence of the fitting. Calculation of the pressure loss in a valve or fitting is based on experimental data. One approach is the use of a resistance factor for a given valve or fitting. The resistance coefficient is normally treated as a constant for a given valve or fitting under all flow conditions. Another term used in determining the pressure drop through valves and fittings is the flow coefficient, Cv The flow coefficient of a valve is the flow of water at 6OºF, in gal/min, at a pressure drop of one psi across the valve. The flow coefficients of any other liquid can be calculated using the relation of itsdensity to that of water. Some crudes with very high pour points or high wax contents that require pipelines of special design Pipelining such crudes can be especially troublesome offshore where heat loss to the water is great and any heat added to the crude before it enters the pipeline is dissipated within a short distance if a conventional pipeline is used. • Processing the crude before pipelining to change the wax crystal structure and reduce pour point and viscosity. • Injecting wax solvents such as benzene or toluene. A combination of these methods can also be used and the choice of method will depend upon the physical properties of the crude and the economics of its production. If waxy crude is pumped below its pour point, more pumping energy is required and, if pumping is stopped, more energy will be required to put the crude in motion again than was required to keep it flowing. When flow is stopped wax crystals form, causing the crude to gel in the pipeline.The wax in crude which is being pumped at temperatures above its pour point will form cohesive lattice structures if it is allowed to cool down to below its pour point whilst stationary. Experiments have shown that restart pressures can be five to ten times higher for a pipeline that was above the pour point and cooled after shut-down than for one that was below its pour point before shut-down. Several formulae can be used to calculate the flow of gas in a pipeline. These formulas account for the effects of pressure, temperature, pipe diameter, pipe length, specific gravity, pipe roughness and gas deviation. The Darcy equation can also be used in flow calculations involving gases but it must be done with care and restrictions on its use are recommended. If, for instance, pressure drop in the line is large relative to the inlet pressure, the Darcy equation is not recommended. Because this is often the case and because other restrictions also apply to its use in gas flow calculations, other more practical equations are commonly used for gas flow calculations. An important pipeline design calculation is the maximum pressure at which a given size, grade and weight of pipe may operate. Maximum operating pressure determines how much a pipeline may carry . Other factors being fixed and depends on the physical and chemical properties of the pipe steel. Since standard pipe grades, sizes and weights are normally used, the maximum operating pressure can usually be obtained from tablescontained in recognised specifications. This is the term used when laying a pipeline parallel to an existing line in order to increase the total capacity throughput. The combined flow of oil and gas in a pipeline presents many design and operational difficulties not present in single phase liquid or vapour flow. Frictional pressure drops are harder to estimate. Liquid is likely to gather at low points in the pipeline and reduce the pipeline capacity to a point when slugs of liquid are pushed ahead by the gas. The movement of large liquid slugs along the pipeline can cause additional pipeline stresses and the pipeline terminal facilities must be designed to receive such volumes of liquid by provision of large, specially designed vessels or energy absorbing pipework, known as slug-catchers. The type of flow in a pipe is known as its flow regime. We have already come across laminar and turbulent flow regimes. These are single phase flow regimes and which phase will exist can be found by calculating the Reynolds number. Pipelines are seldom horizontal, as they have to follow the undulations of the seabed or the countryside, and often have vertical sections as they rise to join platforms or enter process streams. In view of this, flows regimes can exist which are considerably more complex than those already discussed. The key difference between single-phase flow and two-phase flow is that it is much more difficult to determine pressure drops for two-phase flow. This is complicated if you consider that a difference in incline of several degrees, never mind 90º; can change entirely the nature of the flow regime. Undulating terrain will generally not be a problem for single-phase pipelines; however, it can materially affect pressure drop in two-phase pipelines if there are a large number of. rises and falls, which the pipeline must cross. Some two-phase regimes are caused by liquid condensation or fall-out from the gas due to reducing temperature and pressure along the length of the pipeline. For onshore gas lines liquid knock-outs can be provided at intervals such that liquids can be drained off by blow-down of the line. Well flow lines often work in a two-phase regime, particularly because the well fluids usually contain both oil and gas and there may be no facility at the wellhead (E.g. at sub-sea wells) prior to the fluid reaching the gathering station (or platform). Despite the problems associated with the prediction of two-phase estimates, more and more pipelines are being designed for such flow systems. For example when hydrocarbon condensate is separated from the gas at offshore platforms, it is invariably spiked back into the gas for transport to the shore in the pipeline. This is mainly because the economics would not support a separate line for condensate sales. Several empirical flow patterns have been presented that determine vapour/liquid flow as a function of fluid proportions and flow rates. Diagrams of these flow patterns are shown Figure. Care should be taken in the interpretation of these diagrams, as the regime boundaries of bubble, slug, annular, mist and wave conditions are strongly affected by pipe inclination. Even very low pipe inclination of one or two degrees can cause considerable movement of the regime boundaries and, in addition, adjustment has been observed due to fluid pressure, pipe diameter and surface tension. In both vertical and horizontal directions, the avoidance of slug flow is desirable. Slug flow might possibly be avoided by choice of a smaller pipe diameter. This will increase fluid velocities and reduce the pipeline liquid inventory. blog is really a helping material for those who really interesting in this field. I am a new learner in the field and would always appreciate help from you. I have a start-up in pune, where we work for design and manufacture of process equipments. i learned more by this site.i like to receive latest updates of piping symbols. A very good articleabout Pipeines.